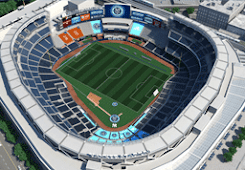 NYC is Blue: Empire of Soccer: "10 Possible Locations For a Soccer Stadium in NYC"
Empire of Soccer: "10 Possible Locations For a Soccer Stadium in NYC"
Bill Reese, writing for Empire of Soccer, has an excellent review of potential sites for City's new stadium. For each, he presents a summary of pros and cons, grading each on its Feasibility, Location, Transit Access and Highway Access and giving each an overall grade. It's a fantastic summary. 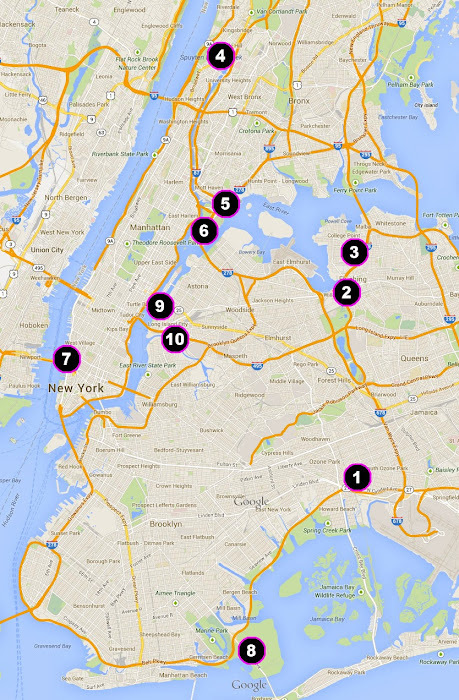 Personally, I would love to see the Pier 40 location, although agree it is unlikely at the very best. And I've long considered LIC as an ideal location for sports facilities, given the confluence of subway lines, LIRR lines and highways. There's always the Sunnyside Yards railyard, if it can be moved or built on the way Barclays Center was built in Brooklyn. The Mets passed up the opportunity to build in the shadow of Midtown's skyscrapers, perhaps City will be able to.